Daryl Johnson (Worcester Park, United Kingdom) on 24 June 2010 in Documentary & Street and Portfolio. 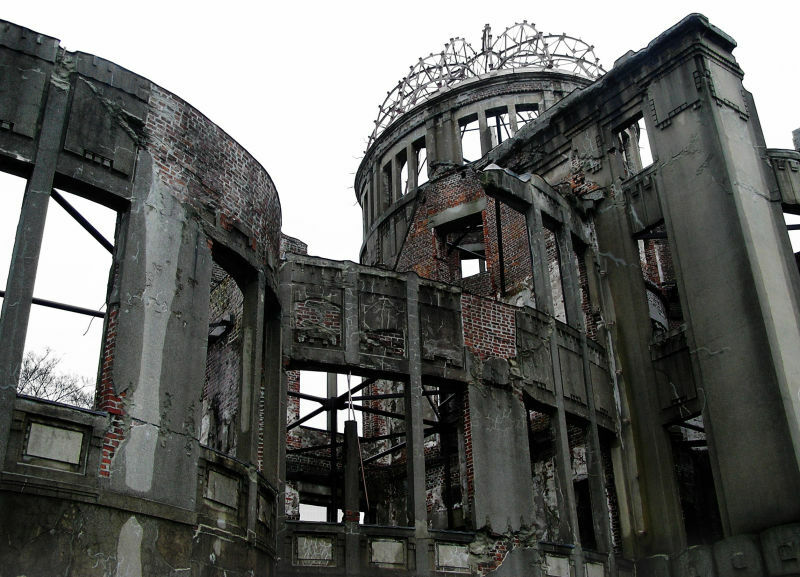 This building, the Hiroshima Peace Memorial, is commonly known as the Genbaku Domu - Atomic Bomb Dome. The atomic bomb dropped on Hiroshima in 1945 exploded directly above this building. The building was preserved as a memorial. The surrounding area, devastated by the bombing, is now the Hiroshima Peace Memorial Park. The image of this building, and its historical significance, is known around the world - familiar from school textbooks, TV documentaries, news reports, and so on. But it's a very powerful thing, standing in front of this building, being so close to it, studying its details. The reality of the event of the bombing becomes more tangible. If you are visiting Japan, I would strongly recommend that you need to make time to come here. Sadly, yes, this is one of the most significant relics of our all-too-recent past. A very powerful image. Great shot. Powerful when we know what it is. Impressive... thanks for sharing, Daryl... and thanks for the background informations. It's so important to show such pictures - we must not forget. Never. A powerful image for sure. My very first post is of this building. @Steve Rice: Thanks Steve. I'm sure you know that feeling when you stand in front of this. Really powerful images. The contrast of the destroyed with the new is impressive.